This second volume of Alfred Hitchcock’s reflections on his life and work and the art of cinema contains material long out of print, not easily accessible, and in some cases forgotten or unknown. Edited by Sidney Gottlieb, this new collection of interviews, articles with the great director's byline, and “as-told-to” pieces provides an enlivening perspective on a career that spanned seven decades and transformed the history of cinema. 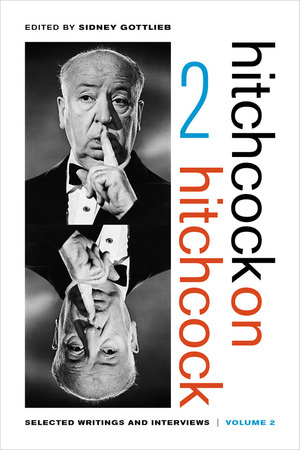 In writings and interviews imbued with the same exuberance and originality that he brought to his films, Hitchcock ranges from accounts of his own life and experiences to provocative comments on filmmaking techniques and cinema in general. Wry, thoughtful, witty, and humorous—as well as brilliantly informative and insightful—this volume contains much valuable material that adds to our understanding and appreciation of a titan who decades after his death remains one of the most renowned and influential of all filmmakers. François Truffaut once said that Hitchcock “had given more thought to the potential of his art than any of his colleagues.” This profound contemplation of his art is superbly captured in the pieces from all periods of Hitchcock’s career gathered in this volume, which reveal fascinating details about how he envisioned and attempted to create a “pure cinema” that was entertaining, commercially successful, and artistically ambitious and innovative in an environment that did not always support this lofty goal.